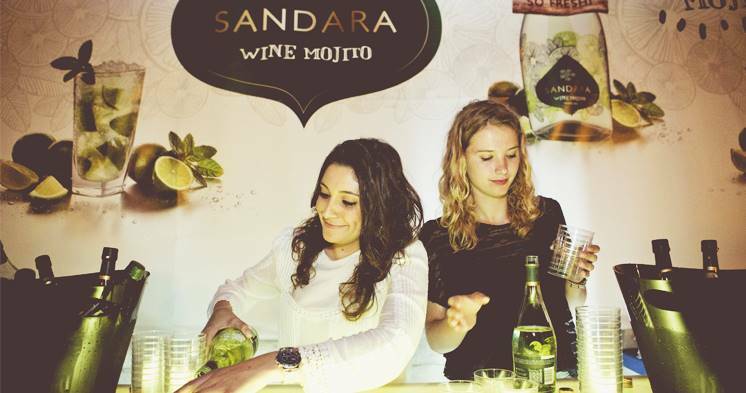 Home / Posts tagged "Sandara Wine Mojito"
Not everything has already been invented and our Sandara Wine Mojito is the proof of it. A perfect combination of flavors and cultures; the best of our wine tradition joined with the joy and freshness of the Caribbean sveamlessly integrated by small and delicate bubbles. An innovative and natural winemaking process blending our wine with natural lime and spearmint. Sandara Wine Mojito shows an attractive lime green color with hints of lemony yellow. The nose displays a range of citrus and green apple aromas, with refreshing hints of mint and spearmint. The taste is balanced between its sweetness, its fine acidity and elegant fine bubbles that power the citrus and prepares the palate for a long aftertaste of mint. Ideal for Cocktail parties and other celebrations as the main drink or accompanying light and spicy snacks. A unique experience, ready to drink, just add ice.